When dealing with a health problem, gone are the days when we had to make many phone calls, ask a lot of questions and then wait for a doctor or other medical professional to follow up with us. Today, when it comes to managing our health, the Internet is our number #1 source of information. Consider this: in a 2004 survey of eight million senior citizens, only 66% said they used the Internet to research health issues. By 2009, that number increased to 24 million. Today, we use the Internet to research medical issues and learn about different treatments and management options. While we should never forgo going to the doctor or dentist altogether, the Internet has certainly made us more informed and given us more power and control when making decisions about our health. Not only are patients using the Internet to do medical research, healthcare facilities are getting in on the trend via utilizing social media such as Facebook and Twitter. Some are taking this even further by using sophisticated platforms which allow patients to instantly chat with a doctor or nurse so they can get instant answers about any concerns. 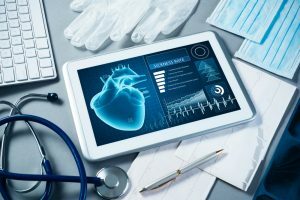 New developments in Information Technology (IT) has made it even easier to keep patient information confidential as well as offer easier access for healthcare providers by consolidating it all into one place. Patients are not the only ones to benefit from modern technology. Through the mere touch of a button on a smartphone, physicians can access information from thousands of medical documents, no need to find an actual, hard copy textbook. There are also new and advanced databases which predict health trends, for example, flu outbreaks. Knowing this information allows people to take action such as obtaining a flu vaccine and allows health care professionals to take the measures necessary to prevent the crisis of an outbreak. Perhaps the greatest impact technology has had on healthcare is through the development and launching of new and sophisticated medical technology and medications which has changed the cure rate and life expectancy for billions of people dealing with a disease. A chronic condition such as chronic pulmonary respiratory disease (COPD) used to mean a death sentence, however, modern developments in treatment and management of this condition allows those dealing with this condition the opportunity to enjoy their lives without a lot of restrictions. As technology continues to advance, we can be sure its role in making healthcare decisions will continue its upswing.